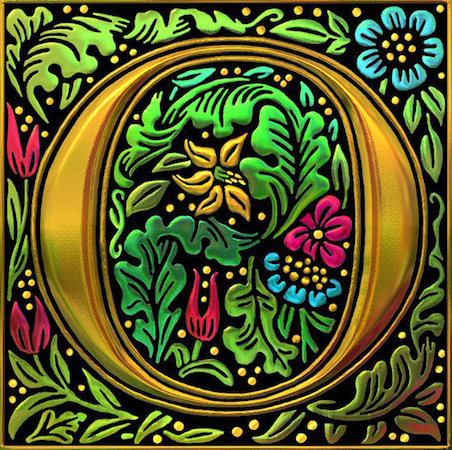 O Antiphons: An Introduction – Let The Bird Fly! Advent is a penitential season which prepares the Christian worshiper for the celebration of the Incarnation of our Lord, that is, his birth on Christmas. We put ourselves in the shoes (sandals) of ancient Israel and cry out “Come, Messiah, come! We are not doing well done here without you.” As ancient Israel waited for their King in great expectation, so the New Testament church waits in great anticipation for his second coming. Israel’s cry for mercy was answered with a baby boy in Bethlehem. Our cry will be answered with Christ’s return. Advent both reminds us of this fulfilled promise and pushes us into the future with confidence knowing that our new prayer will be answered too. How do we know this? Well, he already answered Israel’s prayer in Bethlehem. Expectations can be dangerous though. They can arise from our own image of Christ and not the one portrayed in Scripture. Many in Israel expected an earthly King like David or Solomon. They wanted a Bread King who would provide for them, protect them, free them from Roman tyranny, and lead them to national glory. What they got was a King who was dressed in a faded soldier’s coat, holding a limp reed for a scepter, and crowned with thorns. Their expectations were shattered. Yet this is the King they needed, one who would actually solve their real problem of sin, not a Bread King but the Bread of Life. What are your expectations of the coming Messiah? We all have an image of him in our own minds. But does our individual image of him match up with reality? Jesus is the ultimate iconoclast, shattering the false images we have of God. He breaks down all of these icons of him made in our image and pushes the ugly cross in our faces. Why? Because that’s what we need. So, we constantly go back to Scripture to check ourselves and have the real Jesus portrayed to us, that is, the Messiah who answers our prayer with this: my grace is enough for you. We hope that amid the craziness of the week leading up to Christmas, you can find some stillness in these great prayers of the church. May we ponder with Mary the mystery of the incarnation with these seven unique Old Testament names given to the coming Messiah. We begin tomorrow with Wisdom. Previous PostPrevious We’re Giving Away Another Book!